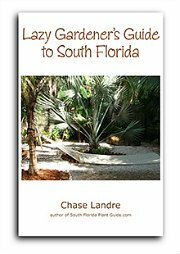 Tired of mowing? 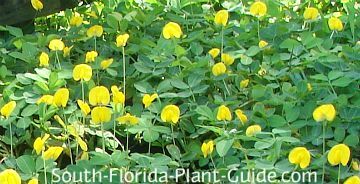 The amazingly tough perennial peanut can replace your entire lawn - or parts of it - with beauty and style. 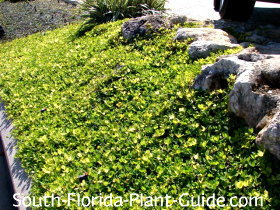 These groundcover plants are moderate growers that do best in full to part sun. They'll grow in part shade but the coverage won't be as thick. Edging the planting area is the only trimming required - just to keep things neat and tidy. 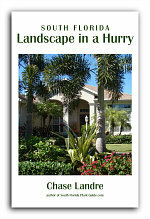 As the plants become established, open areas of ground often sprout with weeds. 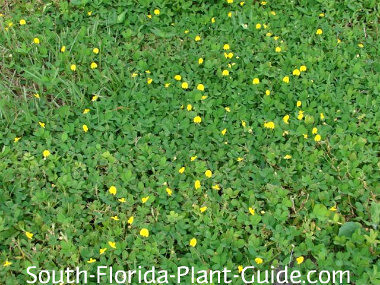 Pull them by hand or mow over them, setting the blade so it hits the weeds but not the groundcover. 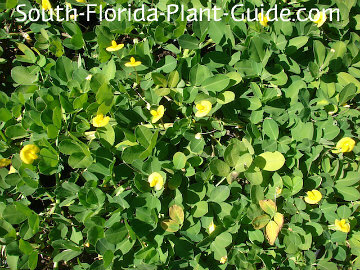 Perennial peanut is best suited to grow in the ground, rather than in a container. 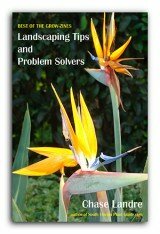 COMPANION PLANT SUGGESTIONS: Place near plants that won't reach out and create too much shade above the groundcover. 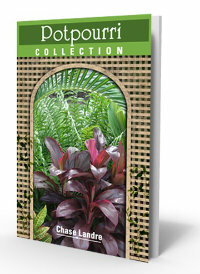 Consider Red Cluster bottlebrush, croton, dwarf allamanda, eugenia, and thryallis.